The wiki can be an often overlooked teacher tech tool. The piece below is (as you might be able to tell!) an adapted version of an assignment submitted for the Technology & Language Learning module of my MA. This article provides an overview of the background and evolution of the wiki and examines some of the affordances generally associated with wikis. It situates wikis in a clear educational context, linking wikis to social constructivist views of learning. It examines how the implementation of integrated wiki use might best be approached and looks at how motivation of learners to fully engage in integrated wiki use might be maintained. It clarifies three modes of integrated wiki use, administrative, referential and developmental, and provides specific suggestions for these. It concludes that a general approach to integrated wiki use is necessary and that this should incorporate an implementation strategy, consider motivational factors and give ownership of the project to the participants. Wikis have evolved as part of a general shift to Web 2.0 technologies, a move towards peer generated content on the internet. Essentially an open document on the internet which is available to all to access, edit and add to, the wiki’s capabilities bring it into line with social constructivist views of learning and make it an ideal collaborative teaching and learning tool for developing understanding and broadening topical knowledge. There are however, a number of stages to consider in making integrated wiki use successful and to help with this an innovation implementation strategy is needed. Maintaining the motivation of learners to participate in integrating wiki use into classes and courses is a consideration. Above all, a strategy for integrated wiki use must consider the purpose of the wiki – what learners and teachers will use the wiki for. Three modes of use can be arrived at: administrative, referential and developmental and a number of specific uses can be described within each mode. While many writers have identified possibilities offered by wikis and demonstrated how, with specific contexts and goals, this may be achieved, a general approach has yet to be fully formulated. It is hoped that what follows goes some way towards that. A wiki is a webpage that any user can access, add to or edit (Konieczny 2007: 17), and it is this inherent simplicity that has popularised the wiki. One stimulus to the adoption of wiki technology has been Wikipedia. Launched in 2001 by Jimmy Wales and Larry Sanger, the English language Wikipedia currently contains 3,249,129 articles (Wikipedia: Size of Wikipedia, April 2010). It is a communally generated and maintained reference work whichWales(2005) describes as “an effort to create and distribute a free encyclopaedia of the highest possible quality to every single person on the planet in their own language”. A number of sites, called “wiki farms”, offer wiki hosting. Different wiki farms offer wikis that have slightly different capabilities and user interfaces. Some wiki farms may charge a fee and while others may be free, they may require the wiki to host advertising. – who is allowed to see and write the content (Mindel & Verma 2006: 10). In a teaching wiki, it might be preferable to restrict those who can edit content. For those working with young learners, it might be preferable to restrict wiki access to those involved with the class. Although this removes the opportunity for interaction and collaboration with the wider community, it offers a greater degree of security and protection for young learners operating online. – The majority of wikis employ a WYSIWYG (What You See Is What You Get) interface, similar to word processing software. Use of such an interface means users do not have to possess the same word processing software and means no knowledge of programming language is required (Konieczny 2007: 15). – Taking on the role of site administrator, teachers are able to track changes made to the wiki. Teachers can track the quantity and regularity of students’ participation (ibid), the quality of their participation and the exact changes they make. It would be useful, for example, to know if a learner is constantly mis-correcting verb tenses. – Wikis are designed to allow asynchronous editing, where users make changes to pages at different times to each other (ibid: 8). Problems may arise when two users attempt to make changes at the same time. Some wikis allow a page to be “locked” when one user is editing it, preventing others from editing it until the first user has finished. Teachers may therefore need to initially set different tasks on the wiki to allow learners time to create the content, before allowing learners to edit and comment on other generated content. The change from Web 1.0 to Web 2.0 has, in many ways, paralleled a shift in views on knowledge and learning. Seely Brown and Adler (2008: 3) mark a clear distinction between Cartesian views, or a hierarchical approach to knowledge and learning where knowledge is objectified and transferred from the expert (teacher) to the amateur (student); and views of social learning where understanding is jointly constructed as participants question each other and clarify areas of uncertainty. Talandis (2008: 799-800) compares this distinction to the evolution in web technologies. The hierarchical approach to knowledge mirrors the set up of so-called Web 1.0 technology. The content of a website is published and available for viewing by anyone, but there is limited or no interaction between the receiver and publisher. The reader can find information, but cannot necessarily contribute or create content. This is similar in structure to the Cartesian approach to learning; it views knowledge more as a product, and demonstrates a similar attitude to transmission of knowledge. By contrast, the Web 2.0 model features user generated content as the core concept. The website publisher provides the framework within which users publish the content. Thus content is collaboratively produced and socially negotiated. This mirrors social constructivist views of learning, where a group of people gather around a subject to share their knowledge and experience, collectively adding to the whole. This is what Lave and Wenger (in Talandis 2008: 799) describe as communities of practice. By their very nature and design, wikis fit neatly into a social constructivist model by providing a space in which meaning or knowledge can be displayed and negotiated. In Web 2.0 terms, they provide “the architecture of participation” (O’Reilly in Wheeler et al. 2008: 990): a platform or structure in which users can collaboratively create or negotiate content. It is important to differentiate between tasks that use wiki technology and integrated use of wikis into a class or course. Sharma & Barrett (2007: 123) describe the idea of a “branching story”. Learners create an open-ended story where each part of the story ends with choices that link to new pages in the wiki. The learners then create the next part of the story, once again providing choices for the reader to follow, and so on. This is an excellent example of a task that makes good use of wiki technology. It engages the learner in the roles of writer and reader, raises their awareness of an audience for their writing, provides an opportunity for creative and personal use of language and peer teaching in an editing mode. The teacher can follow an output-feedback model, supplying language as and when it is required, often to immediate communicative effect. It is however, an example of a task that can be performed with a wiki and does not reflect integrated use. It fails to make full use of the collaborative power of wikis as content is largely aggregated, where content is not deleted or edited together (Mindel & Verma 2006: 24), rather than collaboratively generated. Learners react to each other’s work, and there may be some editing and correction of mistakes, but by and large, learners are left to their own devices. An attempt to integrate wikis into a class is described in Sharma and Barrett (2007: 131), in a case study. Here the teacher used a wiki as an online vocabulary resource, with content generated by the learners. Learners added new words each week to the class wiki, along with a context sentence, the source, a definition and a personal comment. The wiki use was therefore integrated into the entirety of the course. The feedback presented suggests learners were not enthusiastic about the peer-teaching aspect of the wiki, preferring the authority of the “teacher”. This may reflect the educational environment that learners are used to, but can reflect a need to set up the task differently. It is difficult to comment on the case study without knowing the full details, but Waters and Vilches (2001: 133-134) outline four levels of need for implementing an ELT innovation: familiarisation, socialisation, application and integration. These are hierarchical and sequential and the case study description suggests the first two levels were not fully met. Familiarisation: making sure participants know what the innovation is, why it should be used and how it might be used. Integration: handing over the innovation to the participants and letting them develop the innovation further. It seems sensible to suggest that where learners are more accustomed to a traditional, hierarchical educational context or unaccustomed to wiki technology, tasks and activities be used to familiarise them with the affordances of the technology and how they can interact with each other and each other’s content. Sharma and Barrett’s “branching story” (2007: 123) is a good way to do this as learners would be able to create and edit text, insert images, create new pages and navigate around the wiki. Once this stage has occurred, an in-class discussion on how the wiki might be used in support of the class or course can ensue (Wheeler et al. 2008: 994). This would give learners the opportunity to take ownership of the process and meet the socialisation requirement of Waters & Vilches’ (2001: 134) innovation implementation hierarchy. The teacher can outline possible content and negotiate roles as appropriate. Based on class discussions, the teacher can establish a blank wiki without any form of layout, or create “stubs”, pages with titles, but which are otherwise blank, so that learners can develop the pre-decided ideas (Mindel & Verma 2006: 14). Because teachers can track learner contributions for quantity and quality, wikis offer a unique source of feedback. Coupled with informal discussion or formal feedback questionnaires, learners and teachers can assess the relative success of the wiki implementation and adapt or discard aspects of the wiki as appropriate. The point at which teachers should step back from a leadership role and into that of a co-contributor (Wheeler et al. 2008: 994), will relate to the specific teaching situation and variables such as age, level, ability and purpose of the learners. In most cases the integration stage is a good point to give the learners full ownership of the wiki content and direction (Waters & Vilches 2001: 134). 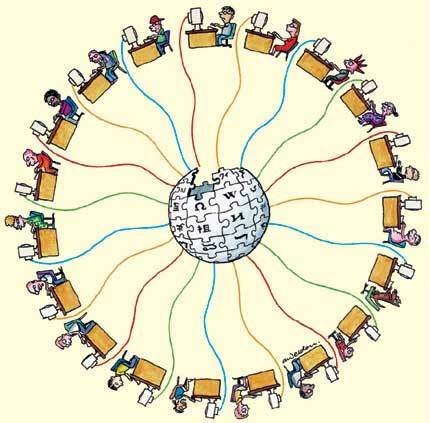 The use of wikis as an integrated component of a class or course is intended to develop a collaborative environment where learners provide support and development for each other. This can be a highly motivating experience. Alm (2006) argues that under a self-determination theory model, wikis have the potential to meet our basic motivational needs of “competence, relatedness and autonomy”, supporting our innate predisposition to learn. Wikis allow learners to perform at a level of competence at which they are comfortable and performances which draw praise will motivate learners to seek a higher level of challenge. Learners need to feel part of a community and connected to each other. In a language learning context, the learners can relate to two communities, that of the classroom community and the target language community (Alm 2006: 32). 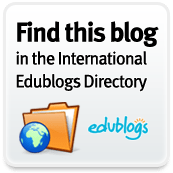 Wikis offer an opportunity for increased student-centred communication in the target language and potential interaction with the target-language community. The extent to which learners persevere at a task depends to a large extent on the amount of autonomy afforded them (ibid: 33). Wikis allow teachers to set purposeful, meaningful tasks, to give learners the freedom to carry out the task in their own way, and to provide support throughout the process as required. This might be done in a socialisation stage of content determination and role assignation or in the integration stage where the teacher role is subsumed into the collaborative function. This article suggests integrated wiki use take as its first premise a complementary and supportive function and that the wiki should be introduced at the beginning of the course and referred to continuously throughout the course (Kessler 2009: 81). On course completion, learners can take the space as their own and continue a peer-supported learning environment outside the classroom, although the teacher may wish to preserve the wiki to maintain the integrity of the records, or for demonstration purposes. Both Konieczny (2007: 22) and Mindel & Verma (2006: 13) provide a range of uses for which wikis can be employed. These can, within integrated wiki use, be categorised and extended in three modes: administrative, referential and developmental. It is important to note that all wiki content and use should be negotiated with class members and not imposed upon them. Equally, it is not advocated that all of these ideas should be used on the same wiki, rather that participants should be able to select those ideas that meet their needs. Administrative functions relate to documentation that allows teachers and learners to provide an online record of course related administration. The teacher or course administrator may wish to “lock” some of these pages, i.e. to prevent editing by learners, to preserve the integrity of the records. Referential functions are intended to provide an evolving resource of course content and additional materials for learners. Such materials can be teacher led, but learner generated, i.e. the teacher can create page stubs, but learners can create the content, although there are some items the teacher may wish to post. The teacher will need to review learner generated content to ensure accuracy. Developmental functions are intended to assist learners improve their abilities. This article has suggested a difference between integrated wiki use, where the wiki is a supplementary component of an existing course, and wiki-based developmental tasks, where the task is used as an isolated lesson. There is some cross over between the two, as many tasks can be used in either scenario. The ideas presented here focus on developing the skills of reading, listening, writing and speaking, but it is not suggested that these be the only focus of integrated wiki use. Language development is also a priority and though there are ways in which integrated wiki use can support this, space considerations prevent a full discussion here. Wikis provide an ideal forum for helping learners to access texts. The posting of a text or podcast on a wiki and the inclusion of some guiding questions can allow learners to demonstrate their interpretation, question each others’, and collaboratively arrive at an overall understanding of the text or podcast. Such synopsis or summarising tasks allow for more personalisation of the content, as learners can post a link to external web content that is more individually meaningful and about which they have personal knowledge or experience. Learners can subscribe to podcasts that appeal to them personally, posting summaries of the content as each new episode of the podcast is released. Tasks can be generated that relate to other aspects of understanding texts. Jumbled texts where learners re-sequence paragraphs or sentences can help learners arrive at a deeper understanding of text structure, linking and reference devices. Discussion questions can help learners identify opinion, tone, purpose and attitude, or to highlight features such as exemplification or comparison. Equally, a wiki can be used in concert with a class reader or a set book. Farabaugh (2007) details his use of wikis with a literature class examining Shakespeare’s sonnets, where students examine continuous themes and build up a collaborative resource of knowledge and interpretation on the subject. Wiki-based discussions building up pen portraits of key characters or summarising plot development can help learners to a fuller understanding of the texts. The affordances of wikis, the ability of the teacher to review individual saved edits, and the ability of learners to read, review and comment on each others’ work, has already led many researchers to comment on the suitability of the wiki for a process approach to writing e.g. Parker & Chao 2007; Talandis 2007. Teachers can provide models of tasks, good or bad, for learner criticism and comment, to familiarise learners with genre features. Learners can create individual pages to construct a plan and a draft. Learners can examine each other’s work, editing for content and accuracy. As each iteration of the text is saved, it is published, thus omitting that stage of Badger & White’s model, although a final version can be printed for assessment purposes. Wiki-based writing can also be used to focus on accuracy. Kessler (2009) outlines a collaborative writing project where participants made corrections to each other’s work throughout the project. This approach raises learners’ awareness of the types of mistakes they make, allowing them to avoid repeating the error, and provides an opportunity for clarification of language points if disagreement occurs regarding the nature of the error. Teachers may wish to monitor such activities and comment on the validity of any corrections made. Development of the speaking skill is not normally associated with a text based medium, yet the technology is available to make this possible. By using free software such as Audacity or Audio Dropbox, learners can record themselves performing tasks and can post audio files on the wiki. It is possible to create You Tube video performances to post on the wiki, although this raises internet security issues, particularly with young learners, which would need to be addressed. Learners can create audio or video presentations on a topic of personal interest or related to ongoing class work. Classes that need to practice particular speaking tasks, for example with language exams like FCE, IELTS or TOEFL, would be able to perform and post their practice attempts. This is a useful strategy for practicing tasks with time limits. Tasks like these can either be conducted in class or as homework. The tasks outlined above relate to monologues and recording dialogues is more logistically complex, but can be achieved in class. Making and posting such recordings affords an excellent opportunity for peer review, peer critique and peer teaching, as well as providing an opportunity for self-assessment. Learners can become more aware of paralinguistic features of their discourse and work to eliminate them where they intrude or to develop alternative strategies. Learners are able to see any progression and development in their speaking skill by referring to earlier attempts and contrasting them with later efforts. Furthermore, it offers teachers an online record of their learners’ performances for more detailed analysis and assessment, rather than having to rely on classroom monitoring. This article has argued for differentiating between wiki-based tasks and integrated wiki use. It is clear that to fully integrate wiki use into a course, an implementation strategy is necessary. Learners should be familiarised with the affordances of the specific wiki. Learners should discuss how the wiki can benefit them and see wiki use as occurring over the entire course. Learners can be guided in deciding the purpose and content of the wiki by reference to the three modes use: administrative, referential and developmental. Once learners have made these decisions, roles and responsibilities can be decided based on needs and wants, with the teacher ensuring learners do not remain solely within their role, but interact and contribute to other aspects of the wiki. The teacher can also contribute to aspects of the wiki, but in a collaborative, not authoritative way. Building the wiki in this way should prove motivating to the learners, who can contribute at their own level of competence, with autonomy but as part of a related group. Badger, R. and G. White. 2000. “A process genre approach to teaching writing.” ELT Journal 54/2: 153-160. Farabaugh, R. 2007. “’The Isle is Full of Noises’: Using Wiki Software to Establish a Discourse Community in a Shakespeare Classroom.” Language Awareness, 16/1: 41-56. Kessler, G. 2009. “Student-initiated attention to form in wiki-based collaborative writing.” Language Learning and Technology, 13/1: 79-95. Konieczny, P. 2007. “Wikis and Wikipedia as a Teaching Tool.” International Journal of Instructional technology and Distance Learning, 4/1, 15-34. Mindel, J. L. and S. Verma. 2006. “Wikis for Teaching and Learning.” Communications of AIS, 18/1: 2-38. Parker, K. R. and J.T. Chao. 2007. “Wiki as a teaching tool.” Interdisciplinary Journal of Knowledge and Learning Objects, 3: 57-72. Talandis Jr., J. 2008. “Web 2.0 in the ELT classroom: An Introduction.” In K. Bradford Watts, T. Muller, M. Swanson (Eds. ), JALT2007 Conference Proceedings.Tokyo: JALT. This article was posted on the same day that #ELTchat had a twitter discussion on Using Wikis in ELT. The summary of that chat, along with all the great ideas and links included, was written up by Alexandra Koukoumialou (@AlexandraKouk) and Dina Dobrou (@DinaDobrou) and can be found on the celtathens wordpress blog here: http://celtathens.wordpress.com/2011/11/27/using-wikis-in-elt-eltchat-summary-09112011/. This is an incredibly in-depth write up on wikis. Well done. I was first introduced to using wikis for business when I started working for a venture capital firm two years ago. Everyone on the team is spread out around the country, and we would communicate over the company wiki. It was great. Then, I was assigned to write some case studies on schools that had started using them in an educational context. Here’s a link to the best one, which used wikis as easily creatable sites that students were assigned to make as a more modern version of the final paper.